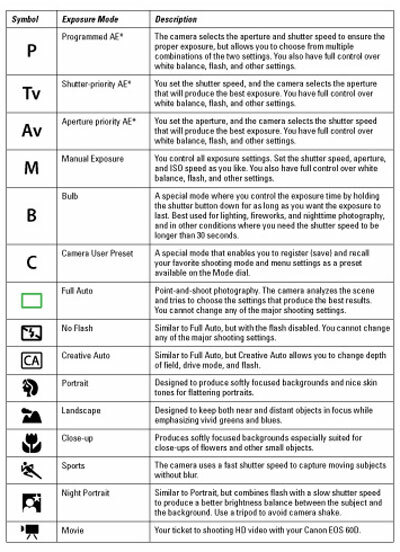 The Canon EOS 60D digital camera has a variety of exposure modes that cover all types of photography situations. Select a mode by using the Mode dial on the top-left side of the camera (and remember to push in the button in the center of the dial while you turn it). Some modes give you a lot of control over the camera, and some take it away. There’s something here for every situation.